How can you tell that you’re spending more than your savings will support? If any of these five signs describe you, it’s time to make some changes. You don’t know how much you should be spending. If you don’t have a budget, you’re probably spending too much. The Center for Retirement Research at Boston College found that 53% of households risk falling more than 10% short of their retirement goal. Another 40% of retirees may run out of money for basic needs. Other statistics show that more than two-thirds of Americans don’t use a budget. “A budget acts as a roadmap for overall spending during a given week, month or year. A lot of times we are unaware of how much money we spend in any given month.A budget really is an accountability tool to make sure we are living within our means,” says Mark Hebner. If you don’t follow a disciplined spending plan, start today. You’re spending more than 6% of your savings per year. How much you should spend post-retirement depends on many factors. 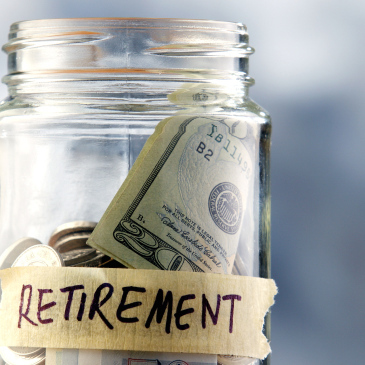 Retirement experts say that depleting more than 4% to 6% of your savings annually is ill-advised. If you have $750,000 saved, a 5% withdrawal rate would give you $37,500 per year plus Social Security benefits. If you want to be safer, go with the traditional guideline of 4%. You’re paying too much to service your debts. Experts advise no more than a 36% debt-to-income ratio. Debt hurts you in two ways. First, the interest drives up the cost of the item. Second, you’re using money that could remain invested to service the debt. The more money that remains invested, the more your accounts will continue to grow. This is even more important now that you’re no longer bringing home a salary. You’re displaying evidence of a “cut loose” mindset. You spent decades working more than full time, supporting a family, paying into Social Security and delaying the fun things that come with making a comfortable salary. Now you’ve reached retirement and it’s time to do all those things you’ve always dreamed of doing. That’s true, but not all at once. Rewarding yourself in the first year by purchasing a Corvette, going on an around-the-world vacation and purchasing a summer home will give you very few years of comfortable living. Spread those purchases over time if they fit into the budget. “Financial planning in general is focused on the long game. Retirees should not only view the investment process as long term, but they should also make the most of their savings in retirement. Spending down all of your savings in the first few years of retirement is a recipe for complete disaster,” says Hebner. You aren’t supporting your excess spending with a side job. If you didn’t save enough for retirement – or you discover that your desire for adventure is costing more than your budget can support – working to support your spending can fill in the gap. Even a part time job that brings in $15,000 per year allows you to spend a lot more than the confines of your retirement budget may allow. Don’t fall into the trap of spending without a plan to augment your retirement income if you find yourself falling short. It’s true that your thinking should change from amassing money to using it once you retire. But you need to create a transition plan. Your money may have to last 30 years or more – you probably hope you need it that long. Just keep in mind that over time, as your healthcare requirements rise, you may naturally spend more. Be sure you leave yourself enough of a cushion.